Any craft project will blossom when you add vibrant 3-D foam flowers. Pack includes assorted colors of blue, red, yellow, white, pink and green. Any craft project will blossom when you add these vibrant 3-D foam flowers! 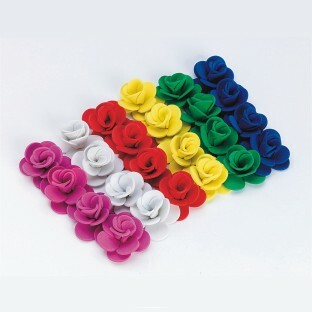 Pack includes assorted colors of blue, red, yellow, white, pink and green. Approx 1".